REASON # 3 - YOU ACTUALLY WANT TO TEACH! Why did you come here to teach? 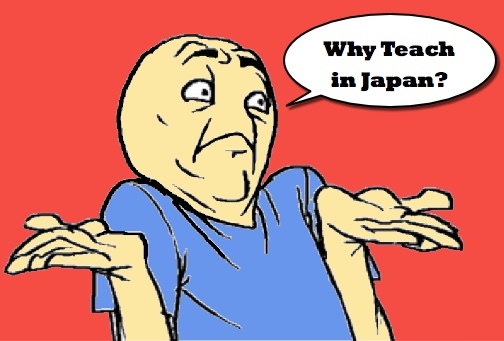 What are your reasons for wanting to teach in Japan? "Stressful." That’s how I’d describe those last months prior to making my big move to teach in Japan. I can vividly remember that last-ditch, Herculean effort to see all the people I cared about most. It would be a very long while before I’d make it home again. I remember calling one close friend in particular and being so excited to tell her that I was moving to Japan. My enthusiasm fell flat when I realized that she didn’t share my enthusiasm, and it wasn’t for the reasons I thought. Maybe she was unenthusiastic because she didn’t want me to go, because she was going to miss me. Nope. That wasn’t it. She told me that me going to teach in Japan is only making it easier for other people to come to America and take all the good jobs. My jaw involuntarily dropped open. My friend's thoughts in no way made me feel like I was doing the wrong thing, because I had already made up my mind. Admittedly I was a little sad and semi-shocked to hear how she felt. I didn’t really respond to it, or even argue. Her opinion was her opinion and I just left it at that. It wasn’t like I was going to stop being friends with her because I didn’t agree with her. 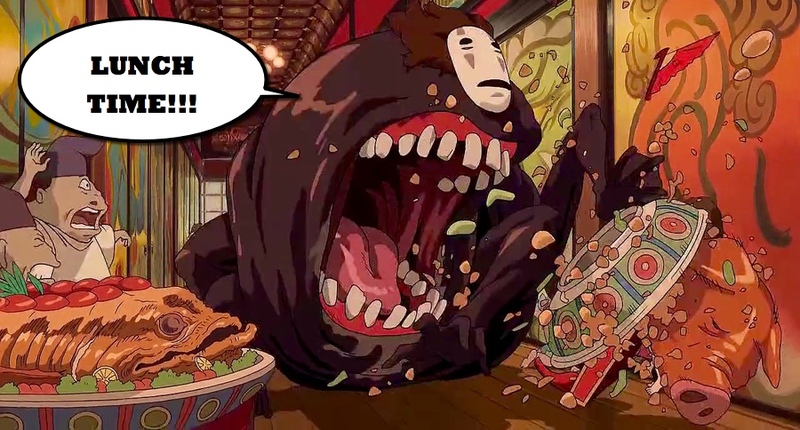 I even had a relative do the stereotypical borderline racist “Chingy chong chang” sounds to make light of it. Those pre-departure encounters made me do the really think harder about my reasons for doing what I was doing. Why fly 6786 miles away just to teach English? Every teacher is going to give you a different answer. But I had several reasons, some bigger than others. Let’s start with one of the biggest ones first. You’d never be able to tell, after nearly ten consecutive years of keeping my financial nose clean, but a low point my mid-20’s was a huge financial blunder that I left me not choice but to file bankruptcy (I talk about it in my “What’s Your Story?” page). I was actually dealing with all of that nonsense up until the day I got on the plane to come here. Actually it even spilled over into me handling things remotely for few months from here in Japan, too. Yes, it sucked, but I was at such a low that leaving my home country for a steady, less stressful job in a country where I didn’t need to worry about my credit history for a while sounded like the perfect opportunity for me. Life in Japan CAN (huge emphasis on "can") be easier on the pockets if you work it right. Even if your salary, on paper, looks like you may be earning less than you were back home, things still may work out better than you think. You undergo a mindset shift after being here a while. You find that out that you don’t need a ton of space to live comfortably, nor to you have to go crazy spending to be content (at least that’s how it’s been for me. BUT PLEASE NOTE: I don’t drink either, so I’m sure I save a bit of money there for that fact alone. No gas? No car insurance? No car payments? I can just touch this IC card to this panel and I can ride just about anywhere I need to for cheap? That makes an insane difference on your pockets. This can be especially true if your car sucked as hard as mine did in the U.S. and was always in need of repairs. In the end, how well you come out financially each month will depend on the job you take (you get a crap job, then you may wanna disregard all that I’ve just mentioned in this first reason :O ), where you live, your budget, and the lifestyle you lead of course. I've been here for nearly ten years and I'm happy to report that I am now 100% debt-free (no credit cards, no student loans...nothing). I don't think this would've happened as fast for me if I were living in the U.S.​ just being honest. On a deeper personal level, coming to Japan was a chance to stop being so damn myopic. I was tired of grinding to try to achieve what everybody thinks success is supposed to be: Are you making six figures a year? Do you have a nice car? A hot wife? A dog? Good-looking kids? Why I just mentioned the dog before the kids, I’m not really sure. But the fact was I wanted to define my own dream. One of the best ways for me to do that was to remove myself from the environment I was in, and start anew. Yes, being in Japan can get dreadfully lonely at times, but those quiet times are a wonderful opportunity for reflection and introspection. Even if you don’t stay forever, I think most people how come for a year or longer go back to their home countries with a very different mindset, a clearer idea of where they want to go. That’s definitely what’s happened to me. Why can I hear Diana Ross’s voice singing “Home” from the Wiz in my head? ​Can I get all American public school teachers in the room to raise your hands, please? Thank you. I need you to answer me honestly. How many of you have ever had to fight the urge to deck a child square in the face because of their behavior? (Only a couple of hands go down). In all seriousness, on a professional level, I wanted to see if I could make more of a difference in the students I was teaching*. Not to say that you can’t make a difference teaching in America, because you ABSOLUTELY can. I’ll be 100% honest with you, teaching public school back home didn’t make me feel like I was making a difference whatsoever. On so many occasions I felt like I was have to choose between disciplining kids and teaching them. It shouldn’t have to be a tradeoff between the two! I was more drained at the end of each day than any job I’ve ever done in my entire life. I was starting to burnout and I was only two years in. That was a huge red flag for me. Some teacher under the sound of these words has taught public school in the U.S. and knows EXACTLY what I’m talking about. Some teacher under the sound of my voice is about to call in sick, not because you’re physically ill, but you just don’t feel like it tomorrow. I’ve been there and I don’t blame you, not even a little. There’s no doubt in my mind that I could have easily just found a better school in the U.S. to teach for. But after truly assessing my personal and professional goals, I felt Japan would be the better fit. I’d have to say a resounding YES. In many respects I’ve been able to get back on track financially, personally, and professionally. Truthfully, I’m not going to become a rich man by just doing ALT (Assistant Language Teacher) work, or working at an eikaiwa (英会話 (English language school)). But the students have been a far cry more receptive here. It encourages me to put WAY more into my job. Because the vast majority of the students do care (I’m not going to say every single person does), I’m going to give them everything I have, and really make sure that they learn something from me. Is teaching always rosy here in Japan? No it isn’t. But I can say that I feel like I have made a much bigger impact here than I ever did in the public school system back home. Before the jading process, I think most teachers set out to in some way, shape or form…make a difference. I intended to only stay a year, but that was “two…three…” almost eight years ago. Teaching English in Japan has been one of the biggest and most rewarding choices of my adult life. I have been able to make some meaningful relationships with some awesome teachers, adult students, and some amazing eikaiwa & public school kids here in Japan. This post is dedicated to all those teachers in the trenches. I know you’re out there. The ones dealing with the so many discipline problems every single day, that you’re about two outbursts away from ending up in a straitjacket (please take a deep breath). I know what you’re going through and I have nothing but respect for you.